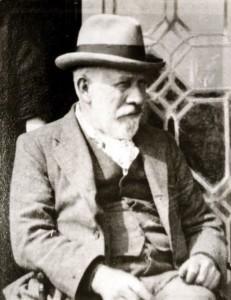 The family business was founded in 1880 by Samuel Dockerill and retained the name of A & R Dockerill Ltd until 1958 when Samuel’s maternal grandson, Richard Wakefield took over the company, and the present title of Thornhill Galleries was adopted. Thornhill was an obvious choice for the name as it was the name of the house that the family had lived and worked in since soon after Samuel had established the business in the late 19th century. What became Thornhill House was initially built as the Old Manor House in East Hill, Wandsworth in 1670 as part of a larger royal residence and given by Charles II to his niece, the future Queen Anne, when she was aged five, and it was here that Anne spent her quiet childhood. Designed by Sir Christopher Wren, the house had a carved staircase by master woodcarver Grinling Gibbons, and murals painted by the fashionable artist of the period, Sir James Thornhill. It was when Samuel Dockerill, who had been advised by his doctor to move out of smoky Kensington for the sake of his asthmatic children, and decided that the fields on the river in Putney were ideal for a new family home, discovered the Old Manor House was being pulled down to make way for new development, that it found its new location. Samuel recognised the quality of the old house’s panelling, doors and interiors, and he bought the lot at auction on February 12, 1891, at a far cheaper price than he could have bought new materials. He then moved the house virtually brick by brick from its original site to Deodar Road in Putney. 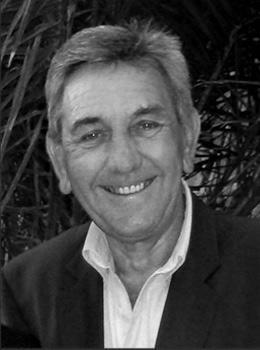 Graham Wakefield, who ran the business in recent years. Samuel transported most of the house by barge to its new location, where he built himself a truncated version of the original manor and also chose this new location to base the architectural antique business. He named it Thornhill House in honour of the artist whose panels still adorn the inside to this day, Sir James Thornhill – an English painter of historical subjects in the Italian baroque tradition. As well as decorating the interior of the dome at St Paul’s Cathedral and the royal apartments at Hampton Court, he also painted the great hall at Blenheim Palace in 1716 depicting the Duke of Marlborough’s victory at the Battle of Blenheim during the War of the Spanish Succession. 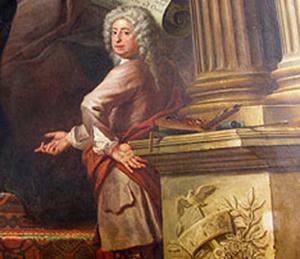 In June 1718 George I made him court painter, and in March 1720 Serjeant Painter. In the same year, he was master of the Painters’ Company and in 1723 fellow of the Royal Society. From 1722 to 1734 he was also member of Parliament. On 2 May 1720, the king knighted him. The company has been passed down through the family, and was until recently run by Samuel Dockerill’s great grandson Graham Wakefield, alongside his two sons Anthony and Richard. 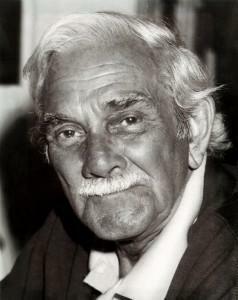 Graham worked at the company for over five decades but sadly passed away in July 2012. His tireless dedication helped propel the business forward and his kind, helpful and warm hearted nature is instilled in the company’s core values today. Anthony and Richard now run the company together and are the fifth generation of the same family to work in the business. In 2013 the company undertook a vast relocation project to a much larger premises enabling the complete collection of antique fireplaces and accessories to be displayed under one roof. Thornhill Galleries continues to offer a close, personal attention to their clients’ requirements, and keeps a balance between its traditional heritage and the professionalism and innovation expected from a modern business. Thornhill Galleries past, present and future – Deodar Road, The Long Gallery, and the new showroom in New Malden.